The role of bisphenol A in medical conditions and side effects is one that is still being defined. Research studies have provided a long list of potential side effects of bisphenol A exposure and consumption, but researchers at the Harvard School of Public Health wanted a better understanding of this chemical's impact on ovarian response and embryo quality. A total of 174 women participated in the study. The participants were between the ages of 18 and 45 and underwent a total of 237 IVF cycles as a group. All women were cared for at the Massachusetts General Hospital Fertility Center between 2004 and 2010. Participation in the study was concluded upon live birth or discontinuation of treatment. 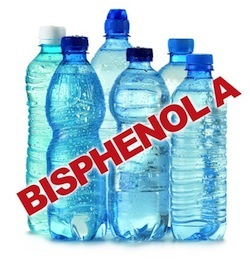 Bisphenol A concentrations were measured using urinary output. Factors such as level of follicle stimulating hormone at day 3, body mass index and health habits like smoking were taken into consideration before reporting study findings. If a patient used donor eggs or Cryothaw, they were not included in the study. Among other results, researchers found that the number of metaphase 2 oocytes and fertilizing oocytes were both reduced. Researchers believe bisphenol A may effect the outcome of in-vitro fertilization treatments in women with higher than acceptable urinary levels of the chemical. Source: Ehrlich S, Williams PL, Missmer SA, Flaws JA, Ye X, Calafat AM, Petrozza JC, Wright D, Hauser R. Urinary bisphenol A concentrations and early reproductive health outcomes among women undergoing IVF. Hum Reprod. 2012 Sep 26.